Victorian, proconsul of Carthage, a native of Hadrumetum, was one of the wealthiest men in North Africa, and had held several important offices under Hunneric, the Vandal king, son of Genseric. 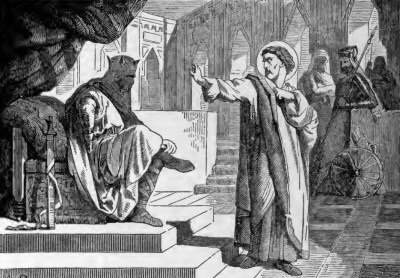 Hunneric, being resolved to trample out the faith in the Godhead of Christ, and establish the Arian heresy throughout his dominion, offered Victorian the highest honors, and his own special favor, if he would regard Christ as a creature. Victorian replied, "Nothing can separate me from the faith and love of our Lord Jesus Christ. In the confidence that I have in so mighty a master, I am ready to suffer all kinds of torments rather than to consent to Arian impiety. You may burn me or expose me to wild beasts, or kill me by other tortures; but never will you prevail on me to desert the Church in which I was baptized." This reply so exasperated the tyrant that he made the Saint undergo the worst and most protracted torments his ingenuity could devise. Victorian endured them all with a good courage, and gained the martyr's crown. In the city of Tambala also many suffered for the right faith, and in that of Aquae Regiae two brothers exhibited great constancy. They were hung up by their wrists, with heavy weights attached to their feet. After having thus hung all day, the endurance of one brother gave way, and he cried out to be released. Then the other exclaimed, "Do not do so, brother, or I will accuse you at the judgment seat of Christ; for have we not sworn over His Body and Blood to suffer together for Him?" Then the weaker brother was strengthened to endure, and the Vandals incensed at their obstinacy, applied red-hot plates of iron to their flesh, and tore them with iron rakes, and so, they entered into the joy of their Lord. Two merchants of Carthage, both named Frumentius, also sold all that they had, and even gave their lives, to gain the most precious pearl of eternal life. The Church honors also on the same day Saint Liberatus, his wife, and sons, who suffered in the same persecution. Liberatus, a physician of Carthage, was exiled, along with his wife, on account of his faith. He felt keenly being separated from his children, but his wife consoled him, saying, "Think no more of your children, for Jesus Christ will be their guardian." The husband and wife were incarcerated in separate prisons, so as not to see one another. "Your husband has submitted to the orders of the king," said the Arians to the wife, "therefore do you also yield." But she answered, "Let me see him and speak with him." Then she was conducted to where he was, and she reproached him for his apostasy. But he exclaimed, "They have deceived you, O my wife, never have I renounced my faith." Then she gave praise to God. It is not known how these Saints suffered, but they are honored by the Church as martyrs.